‘6 These things add up. Every one of us needs to pray; when all hell breaks loose and the dam bursts we’ll be on high ground, untouched. Nothing compares to the promises He lavishes on you, God’s Child! He’s looking you square in the eye this morn as He tells you what He is about to do through His promises. 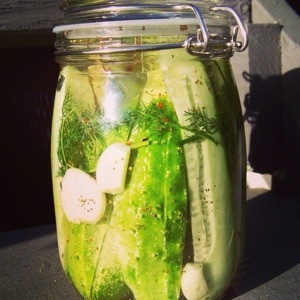 The thing is, Believer, for you and me, every time we get in a pickle …. this is where the mystery begins. What seems like a simple desperate prayer to you and me – in the economy of our Creator – sparks events that may very well be celebrated forever. Not everything is as it seems. Success to us flesh-folks may bore God Almighty to tears. And, what seems like a nothing, even tiny act of obedience to The God of the Universe on our part, He can use to string the chain of events in place to blow the socks off your future. Today’s pickle, when prayed through, may very well be the celebration tipping point of your future in the Almighty, or someone else’s.